Excerpt: Biodesign Out For A Walk. “He’s freakin’ nuts if he thinks I am going to sleep up there!” Although I think the student who muttered these words was half kidding, I was in good company. 130 years ago, John Muir was often regarded as a tramp, bum, social misfit and perhaps most demeaning, “a ne’er-do-well:” an idle, worthless person; a person who is ineffectual, unsuccessful, or completely lacking in merit, good-for-nothing. During the formative years of the Biodesign program, I had some parents, colleagues and administrators who leaned in that direction. They were skeptical about taking students away from the educationally sacred ground of the St. Helena High School campus. 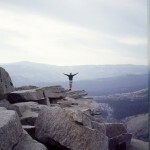 However, I was blessed to have had a university grad-school biology professor who took me to Yosemite. 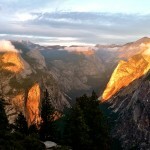 He kindled a dream that if there were ever a way to take my biology students to Yosemite, I would do it. The dream not only came true, but also exceeded my wildest expectations. 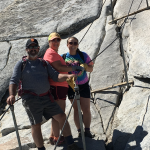 Eventually, our annual Yosemite trip grew to 6 days, we added a 6-day trip to the Grand Canyon and a 5-day trip to the Mendocino Coast; totaling a whopping 17 days away from school. As we immersed ourselves in the mountains, and Muir’s writing, we discovered that what he was preaching about was absolutely true. Muir nearly died, perhaps a dozen times, as he tried to get as close as he could to the heart of Nature. Although we did not intentionally plan to follow him that closely, sleeping on top of Half Dome always provided some thrilling adventures. 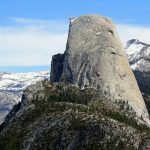 Like many of Muir’s treks, this was not commonly done or, apart from very few avid rock climbers, even considered possible. Considering the world population, the odds for sleeping on top were about 1:14,000,000, which are higher odds than being struck by lightning. 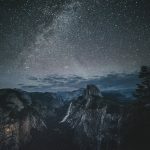 Yosemite NP banned camping on top of Half Dome about 20 years ago and so many of those students and chaperones, who got to sleep on top, hold precious memories of events that are no longer possible. The long distant runner is paid by the snap of a white thread across his chest. “If you want to find out what kind of friend you have, take him/her camping and see.” Perhaps, the same can be said about discovering differences due to gender diversity. 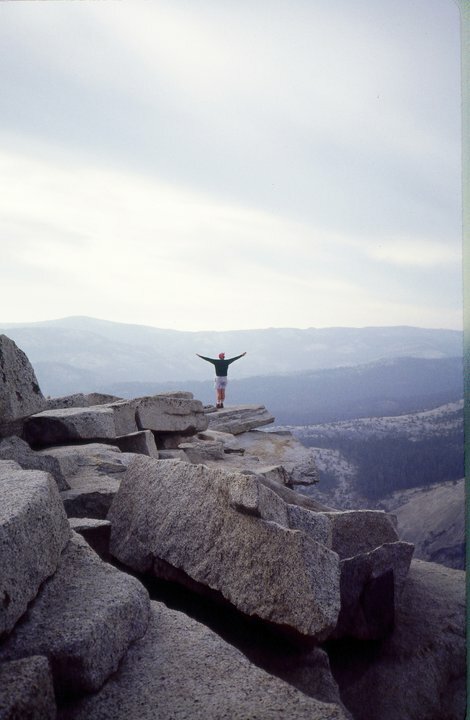 Ever since our first attempt (and failure) to climb Half Dome (1976), it became conspicuously obvious that gender differences transcended from the physical to mental and, perhaps most importantly, spiritual awareness. When discussing spiritual concepts proposed by Muir, Emerson and Thoreau et al, the girls were typically quicker to grasp them. However, for the first 10 years these discoveries remained mostly anecdotal and not well defined. Then, in August of 1983, Omni Magazine featured an article titled, “Superiority of the Female Brain.” The author, Carol Johmann, followed up on Dr. Roger Sperry’s discoveries of the split neocortex in humans. The title was probably a bit hyperbolic, however, Johann described the now widely accepted premise, that, because of increased inter-cerebral neural networks, females are typically more harmoniously balanced than males. Interestingly, when I presented the new evidence to the Class of ’84, they were not particularly surprised or concerned. In fact, they seemed to be relieved that many of the behavioral differences between males and females, that they were already familiar with, actually had biological origins. Although I lost my original copy of the Omni Magazine, in a recent, wonderful synchronicity, I was able to replace it. Johmann’s article prompted me to create a literary montage of observations from a few girls in the Biodesign Class. CLIMBING HALF DOME was the hardest thing I have ever done. There were many times when my body was screaming for me to stop. I don’t normally sweat very much, but sweat matted my hair and streamed down my face. Part of me felt grimy and disgusting, but the amazing scenery, and especially my classmates, urged me to press on. Of course, I had seen photos of “The Cables,” but I was not prepared to climb the granite stairway that ascends the Sub-Dome. There were no railings and both sides of the steps seemed to drop off into oblivion. The weight of my backpack added to the trepidation of every step. Although the climb was physically demanding, the stunning views prompted me to think that I was ascending a stairway to heaven right here on earth. It was a relief to get to the base of the cables, that is until I stood at the bottom and looked up. I REMEMBER Mr. Young mentioning that because girls typically have smaller bodies and weigh less than guys, that they should try to keep their backpacks as light as possible. I weigh 105 lbs. and am not particularly athletic. Suddenly, looking up at the top of Half Dome, my 35 lb. backpack felt like it was full of rocks. I began to cry as wave of fear swept through my body. I was absolutely certain that there was no way I would be able to reach the top. IN AN ATTEMPT to keep our circles gender-blended, Mr. Young would frequently say, “form a circle; roses and thorns.” It was definitely not “p-c,” though he did not specify just who the roses or thorns were. However, the girls typically felt like they were the roses and the more “macho” guys took a little pride in being considered thorns. In this case, he informed us that we would ascend The Dome in a roses and thorns line. He added that this was not a time for pride, guilt or self-doubt and we should all help and encourage each other. Amazingly, after we started up, it wasn’t as scary as it looked. My partner stayed close behind me and offered his support and the reassurance that he literally “had my back.” When we reached the top, my feelings about heaven-on-earth intensified. With tears and laughter, we joined in a massive group hug with a sense of joy and exuberance that I had never felt. I was totally exhausted, but I had never felt better in my life. ON THE WAY HOME, I was floating on a cloud, filled with wonders, visions and marvels of Yosemite. I guess I thought the euphoric feeling would never end. What a mistake. Back at school some of my friends resented my exuberant behavior. I realized that I was one week behind on homework assignments and some teachers resented my joyful attitude. I panicked when I noted the looming deadline for college applications and my parents seemed to be making excessive demands on my time. My emotional high crashed and I wondered if the trip were worth the anguish I was feeling. Then I remembered a poster we had on our biology lab wall. And then a major epiphany! 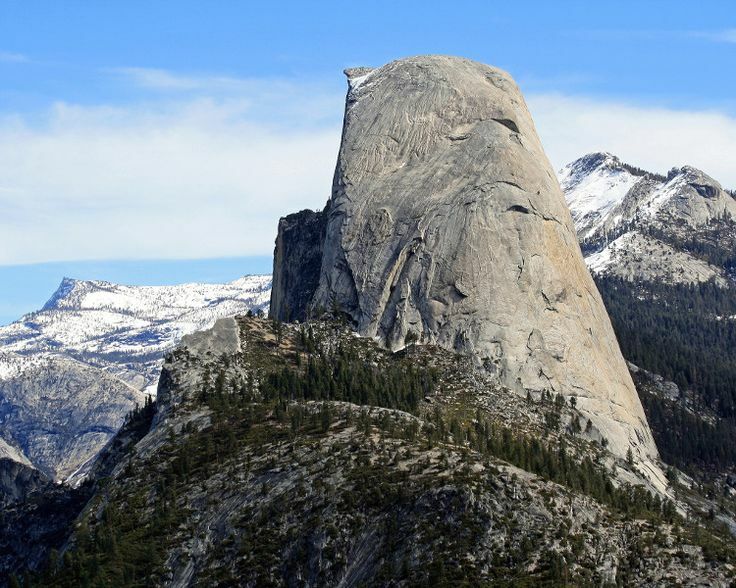 Half Dome was very real, but it was also symbolic and metaphorical. When I was on the top, I remember turning around and Cloud’s Rest loomed 1000 ft. above me. I realized that if I climbed that, there would be an endless number of Sierra peaks to climb, some nearly twice as high as Half Dome. Note: One of the greatest blessings that I received as a teacher was to watch young adults express words of wisdom that many adults will never fully comprehend. The last, very perceptive young woman could have likened her mountaintop revelation to the doomed Sisyphus, but she accepted the stress and pain as the price for becoming spiritually alive. She was wise beyond her years and no doubt attended a college or university where many of her PhD holding professors had little (if any) knowledge of what she had discovered. 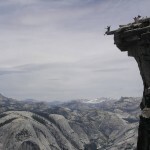 The Biodesign Class of 1978 was only the second class to reach the top of Yosemite’s world-famous Half Dome. 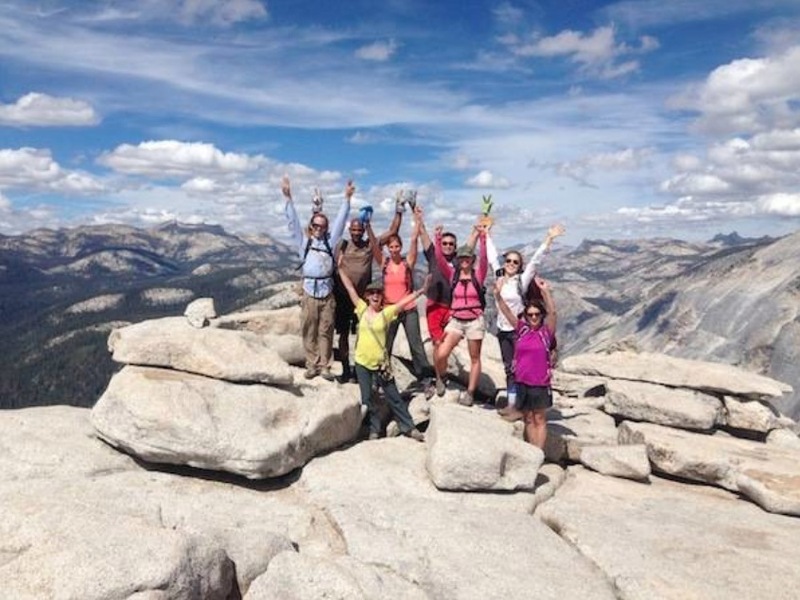 They donned their backpacks and labored for 10 miles while gaining nearly 5,000 feet of elevation. 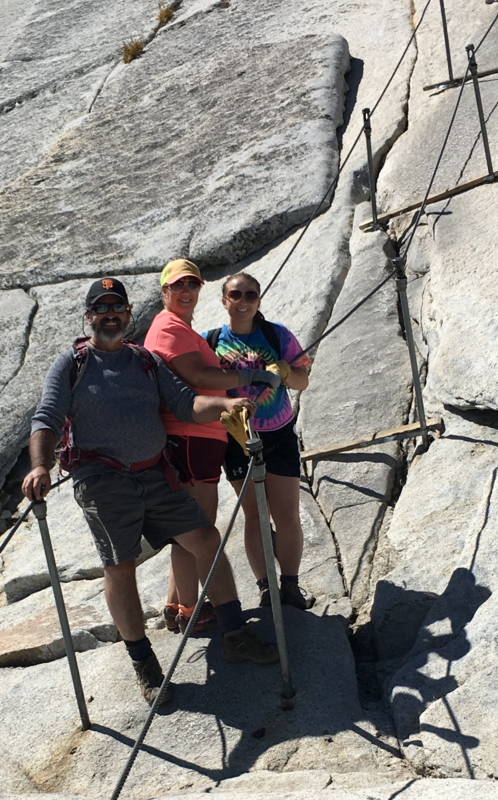 The last ½ mile involved climbing a steep series of granite stairs and ascending 400 feet of twin cables up a 45-degree grade. The added weight of the backpacks was challenging for the experienced hikers and was nearly overwhelming for some of the beginners. They had been forewarned that the hike would be a group effort and no one would be left behind. 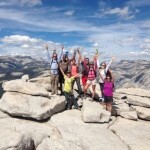 Therefore, when the last hiker topped the brow of Half Dome there was a joyful celebration with lots of tears and hugs. 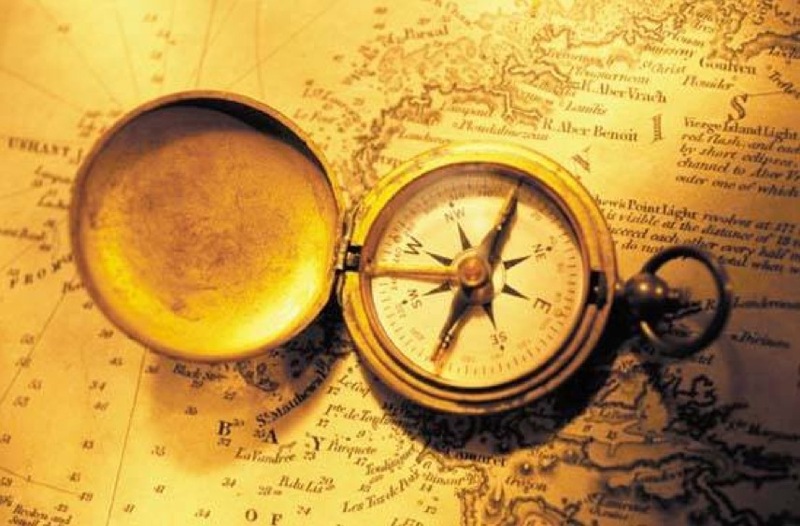 An orientation session helped them find important landmarks. After setting up a bivouac area, water was heated for trail-food dinners. After dinner the class was treated to an extraordinary spectacle of a blood-red sun dropping below the western horizon. When they turned around to return to the camp area, Mother Nature offered an encore performance of a glorious full moon rising in the east. Plato’s words offered a poignant contrast for the students to contemplate. The only blemish on the gorgeous sunset was the layer of smog that could be seen hanging 50 miles away over the San Joaquin Valley. However, at nearly 9,000 feet the sky was nearly perfectly clear. The stars seemed to be competing to see which could be more brilliant. The air was absolutely still and created a profound silence that was truly sublime. The lesson was a huge success and the students enjoyed flashing the “I Love You” sign for the rest of the trip. And it didn’t stop there. They used it for the rest of the year and its use was passed down to all the following classes. The last day arrived and before we headed home we went out to the meadow for what proved to be an emotional a final circle. The mighty Half Dome loomed one mile above our heads. 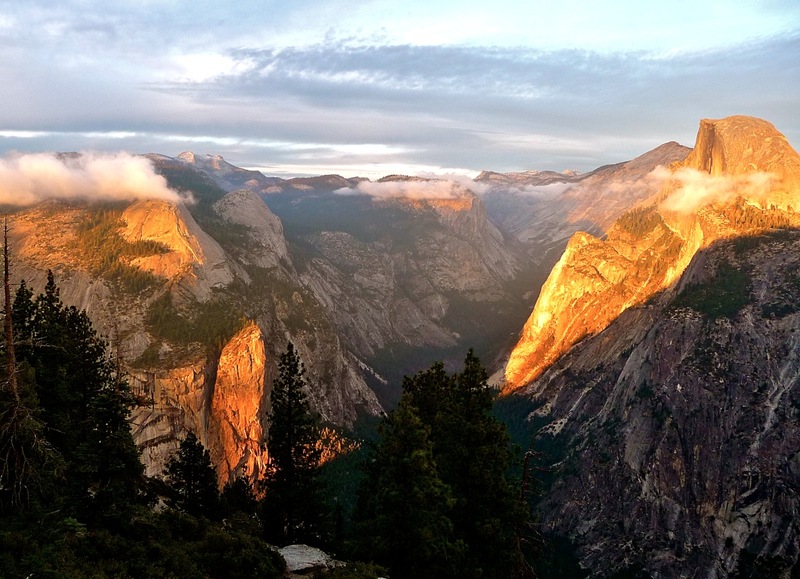 It was time to say “good bye” to Yosemite and it became a bittersweet parting. Of course, every student had a unique experience, but I think a common source of their emotional catharsis can be traced to the two spiritual wells of Joy and Sorrow. 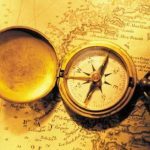 Their joy came from innumerable, priceless scenic images, memories of stress, pain and growth; trail camaraderie and an experience that Joseph Campbell would have described as, “The Soul’s High Adventure.” Most had seen things that they could never have imagined, and in doing so, discovered things about themselves that they never knew existed. The sorrow probably came from knowing that they would soon be leaving John Muir’s cathedral and would not be able to explain their experience to family and friends. They were also keenly aware that they would be descending back down to the lowland with its smog, grime, crime and rampant materialism. However, there was often a deeper and more universal cause for their sorrow. 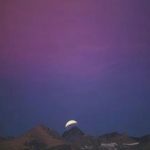 On several occasions students wondered why world leaders could not discard their artificial pomp and shallowness and climb a mountain and spend the night. They wondered if world peace could become a bit more plausible if this were to happen? Transcendent: adjective; transcendent is extraordinary or beyond human experience. I was supremely blessed to have slept on top of The Dome with 20 biology classes (when it was still legal). 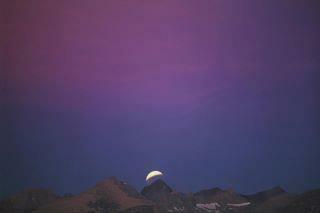 Each night offered a transcending experience that altered how I saw Nature, humanity and God. Like The Velveteen Rabbit becoming “real,” transcending experiences can be soul-transforming and last forever. John Muir, Henry Thoreau and R.W. Emerson were proponents of the transcending power of Nature. The three men were not necessarily referring to single event, but events that can occur many times in wilderness settings. 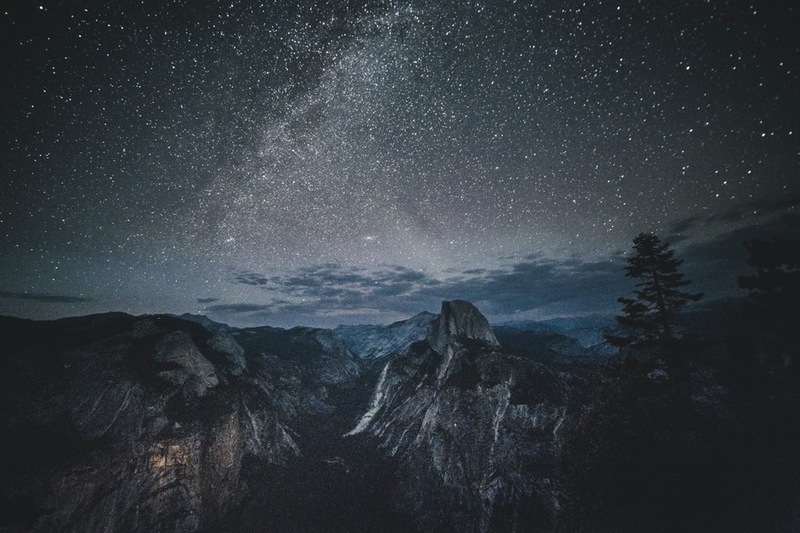 Although they may or may not involve an experience with a Supreme Being, Muir welcomed his followers to “come to the mountains and be ‘born again.’” It is not uncommon for people to have “out-of-body” experiences where their spirits are free to roam in the universe. Somehow, words like infinity and eternity often take on a deeper meaning. 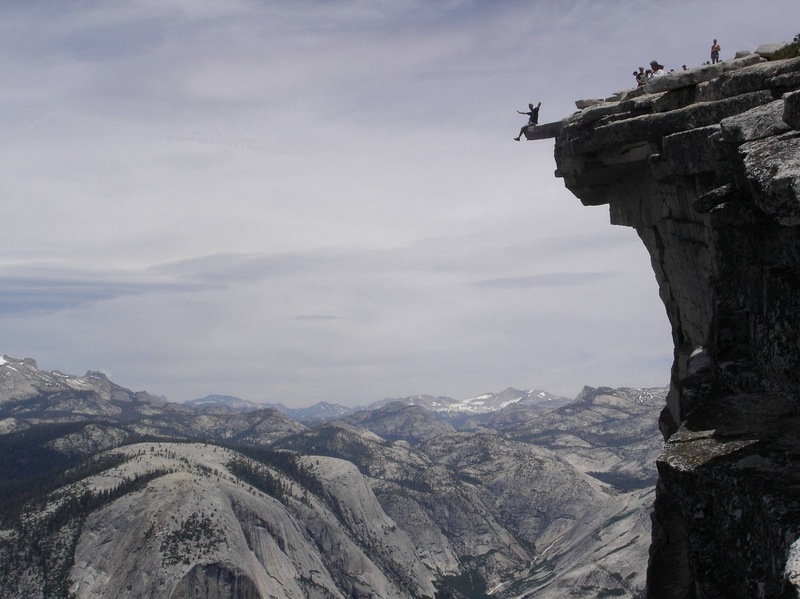 In fact, if dangling your feet over 4,800 of “free air” on the “Diving Board,” on top of Half Dome, does not move you, you may not have a spirit-pulse. One of the common results of transcending experiences is goosebumps. Goosebumps are the autonomic nervous system’s response to foreign (wilderness) events. The ancient part of the brain seems to comprehend that there are no words to describe the experience and a surge of adrenaline is released by the endocrine system to prepare the body for a “fight-or-flight” reaction. Spiritual fights and flights are often quite scary. Excerpt: Biodesign Out For A Walk, Chap. 4, A Class Is Born. Intuitively, Toby described a powerful, visceral reaction to his transcending experience. One of my favorite Zen koans claims, “No two people have ever met and departed unchanged.” The same can be said for wilderness experiences. No “normal” human can enter the wilderness and emerge unchanged. Transcendence is a beautiful spiritual gift.